The prize is a money-can’t-buy trip where the winner gets to spend the day with BBC Radio 5 live at a major UK sporting event including either the FA Cup Final, Wimbledon, a Six Nations match or an International Cricket Test. The competition launches today Friday 5 October, and is open to 11 to 15 year olds. Entries can be made via the Young Commentator website www.bbc.co.uk/youngcommentator with a range of sporting clips available for young people to show how good their commentary skills really are. 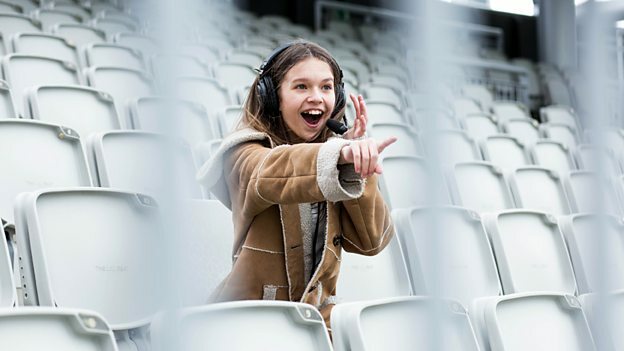 The finalists will be judged by an expert panel including Vicki Sparks who commentated at her first World Cup for BBC TV and 5 live this summer, having worked for the BBC for the past four and a half years covering Premier League games and England women’s matches. Also judging is nine year old Braydon Bent who won a competition at the age of seven to meet Man City striker Sergio Aguero. The video went viral, and since then he has attended some of sport’s biggest events, interviewing BBC Sports Personality of the Year finalists and appearing in countless TV programmes and adverts. They will be joined by legendary 5 live commentators John Murray, 606 presenter Alistair Bruce-Ball and BBC Radio 1Xtra and 5 live presenter Nick Bright who hosts The Squad, 5 live’s new football show on Sunday lunchtimes. Rounding off the panel is former British sprint champion and Olympian Jeanette Kwakye who is now working as a sports journalist and broadcaster, interviewing athletes moments after their racing triumphs at major athletics meets around the world. The closing date for entries is Monday 29 October 2018 at 9am. Entries can be made via the website where there is a What Sort of Commentator Are You quiz plus lots of useful hints and tips on how to win.